B. Thomas (Arlington, Texas, United States) on 1 May 2018 in Animal & Insect. Nikon is ready to go at sea... I have friends who take their cat on their sailboat and the cat adores. 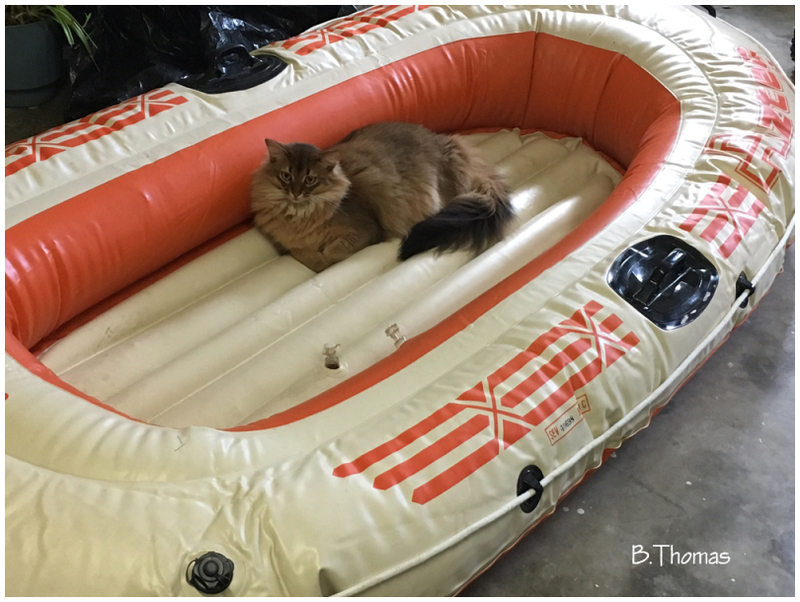 NEVERTHELESS we say that cats on a boat bring bad luck. Cats have a marvelous ablity for finding the best places to sleep. This one is a winner. Smart kitty! Il va partir en mer fait le tour du mond il a touvé un bien bel endroit génial. :-) Superb ! Happy ST ! At first I thought he was in the water! It must have been comfortable! Happy ST! Cats are so amusing. Who would have predicted that he would like this spot. @sherri: Absolutely, he and his brother do. aw !! That is sweet !! !He looks quite happy here !